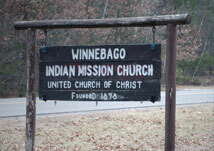 Home / Event / Doctrine of Discovery Discussions – 9 a.m. & 11:30 a.m.
At the 2018 Wisconsin Conference UCC Annual Meeting a vote was entered to have us gather into a time of discussion and study around the Doctrine of Discovery and our faith, with the purpose being to vote on a resolution to renounce the Doctrine of Discovery at April’s annual meeting. We at Memorial UCC will have an opportunity to watch videos and have discussions on this document. You will have four opportunities to join a discussion: Sunday, February 3rd 9 a.m. and 11:30 am & Sunday, February 10th 9 a.m. and 11:30 am. ← Doctor Who and Theology at 6:30 p.m.